The sailing season is over. Long live the sailing season! The Fall takes over the Baltic Sea and Shtandart is heading south again. Like a migrating bird, she’d need to cover a great distance, and she is ready for it. We’re looking forward to you joining us for one or two legs of this exciting journey. 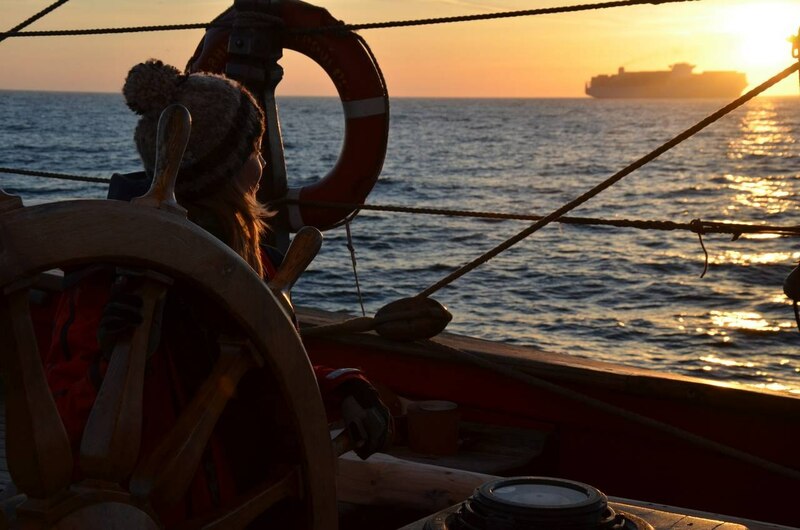 We’re going to take the classic route used by seafarers going south and west from Northern Europe, to Africa, America and Mediterranean, for hundreds of years – under sail and under power alike. So we catch our wind and hope we won’t fall behind. But do forget about large cruisers and resting in leisure. 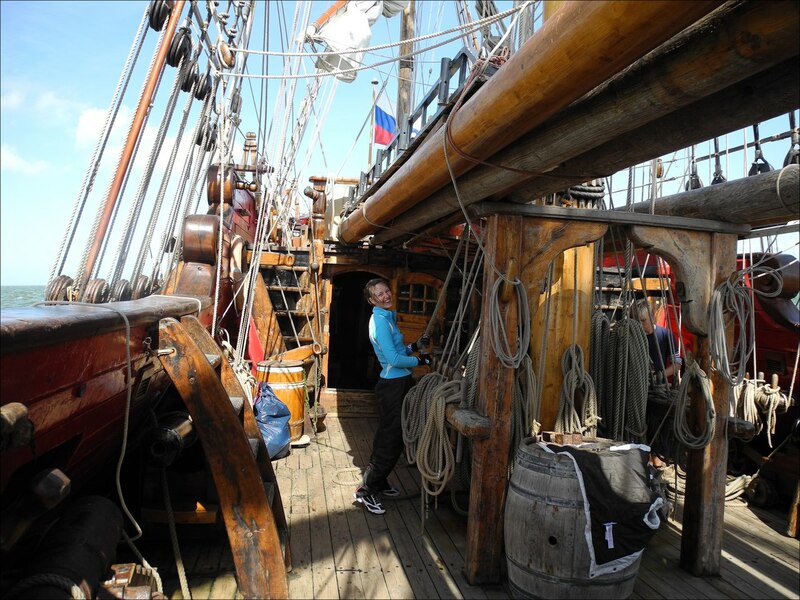 The frigate gives you much more: real seamanship experience and genuine feeling of adventure. We’ll cover thousands of miles, see a variety of places and conquer all sorts of adversary weather conditions. Rain and storms, seas, straits and narrow channels, all that just to get warmed up by the gentle southern sun. In Copenhagen we’ll participate in the festival honoring the great Danish hero Peder Tordenskiold (1690-1720), courageous and remarkable navy officer back in the days of the Great Northern war. We’ll both enjoy the scene and put up a show, taking part in the battle reenactment. And after the final fireworks we’ll sail a number of Danish straits and channels to the German shore. We then take the Kiel Canal, an artificial German inland water-artery. Which means almost 100 kilometers of idyllic views of beautiful Northern Germany, infinite pastures and fields, grazing cows and cozy villages. 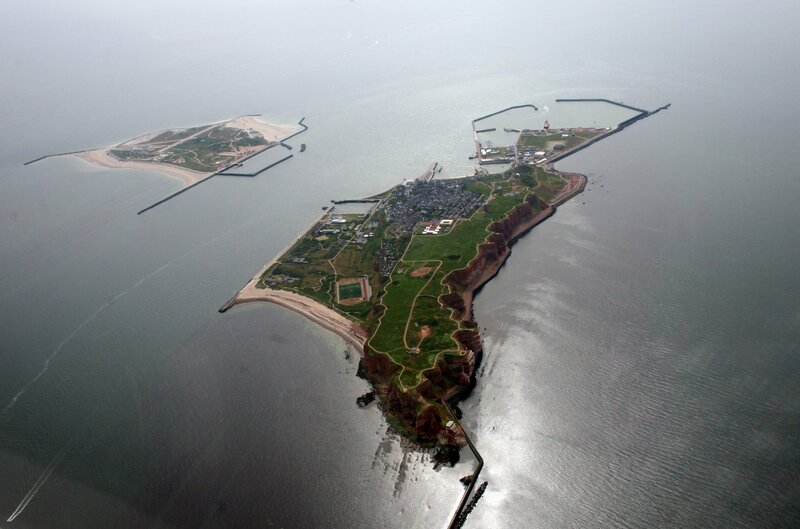 Then it’s Heligoland once known as Northern Tortuga, famous for pirate stories, a submarine base, red rocks harboring thousands of birds and resort atmosphere heated up by absence of taxes. Next, the North Sea, open wide, and on to the Netherlands. Weather will decide whether we’re going to sail around the Netherlands or hide in the inland channels behind the locks and take a break from the harsh Fall swell. Then we’ll enter the English Channel, between England and France, and drive for some time in heavy sea-traffic allowing everyone interested to try themselves in radio communication with English and French dispatchers. Finally, we’ll arrive to Saint-Malo, a colorful town on the French Atlantic shore, well known to all seafaring folks. Here’s going to be your chance to test your strength and wit against the powerful tidal currents of the area (up to 8 knots between the rocky islands). What works better for gaining practical seamanship skills than a long trip in a variety of weather conditions? So we’re going to learn to love our ship. that require care, thousands of small details that a good bosun would notice and good hands would fix underway. We offer you a chance to learn what it’s like to love and care for your ship, and it is a trade mixed up with art and craft. We’ll teach you knots, splices and eye-splices, how to make decorative and protective mats, how to properly apply paint and varnish, how to mend sails and much, much more. The ship always gives back to you hundredfold. We’ll take it in and study all the small nuances of handling a large square-rigger, learn to work at the helm and at the watch stations, set and douse the sails and maneuver the ship.